The world’s best terroir for Merlot grapes. The climate of the region is moderate, with a slight Mediterranean influence, perfect average rainfall, warm summer and the highest number of sunny days in comparisson with the rest of Bulgaria. 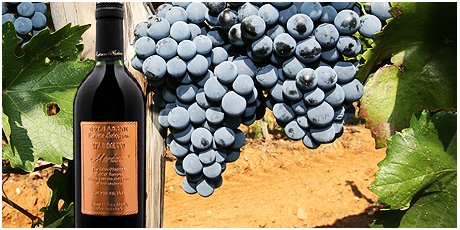 The sandy-clayish soil type and the relief of the terrain provide the perfect environment for growing various grape breeds and for creating exquisite wines. It is only natural that the blend between these favourable climatic and terroir conditions, the technological expertise of our oenologists and the centurial winemaking traditions of the region has resulted in the creation of top-quality Merlot and Cabernet Sauvignon classical red wines from the regions of Stambolovo, Sakar and Haskovo. These wines are matured in small barrique-type oak barrels to obtain density of colour, noble bouquet and mild harmonious taste. Our noble red wines are a true delight to discerning connoiseurs. Unique for Bulgaria, and at the top of our limited oenotheque selections, are our aged Merlot wines from old vintages with guaranteed and controlled denomination of origin from Stambolovo and Sakar regions. They are the name card and the symbol of STAMBOLOVO WINERY in Bulgaria and worldwide.